Goats in the Meadow offers a variety of scents and sizes and your skin will never feel better! My kids each have their own bar of GITM soap (even Guinnyth) and they love lathering their skin up in the tub. I love that this soap leaves no residue, and it doesn't dry out my skin. It has been a lifesaver for this long, cold winter and for my expanding baby belly. This would be a great gift for yourself, or for someone you love! Baby shower... birthday... housewarming... anything! But, the reason I am showcasing it today, is that this is a perfect gift for all the mothers out there! Any momma or grandma would love unwrapping a beautiful bar of goat milk soap this Mother's Day! Today you have a chance to win and experience Goats in the Meadow for yourself!!! 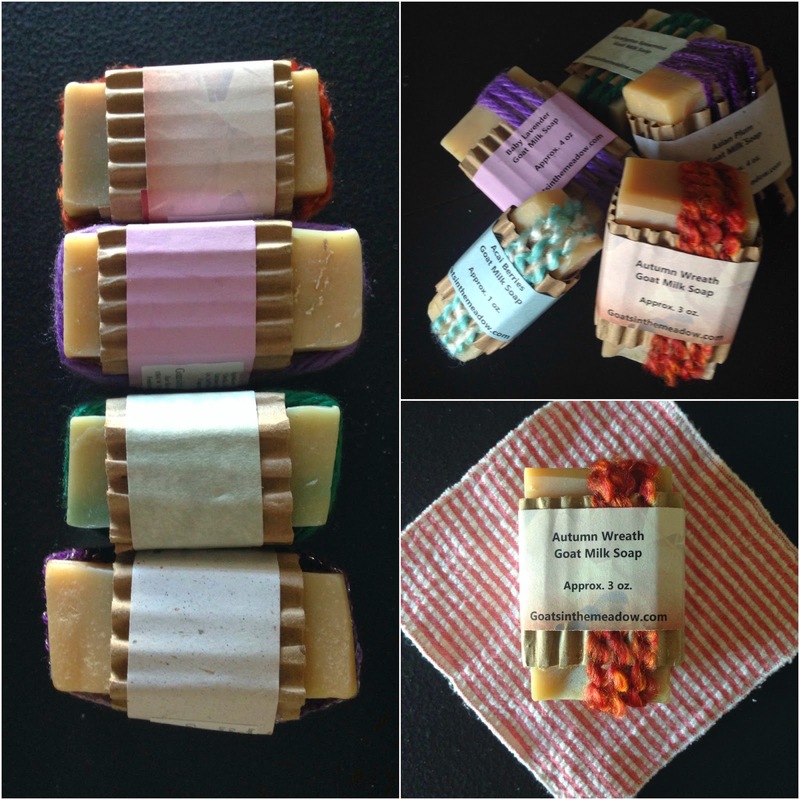 My husband refuses to use any soap other than goat's milk soap so I always keep a good supply of bars! So if I order, what are the "must buy" scents? I love the acia berry and eucalyptus spearmint! Make sure you let the ladies know you are coming from The Quick Journey! They are such lovely ladies! i love goat milk soap! i have dry skin, and it does wonders on my skin during the winter time.